The commercial capital of Kerala and the most cosmopolitan of Kerala's cities, Cochin (Kochi as it is called today) is a fascinating blend of cultures. From time immemorial, it has been the favourite destination of globe-trotters and explorers. Blessed by one of the finest natural harbours in the world, Cochin has been eulogised as the Queen of the Arabian Sea.around Cochin are several places of monumental value, but step into Fort Kochi, and you are in a totally different world. The Chinese fishing nets, the Jewish Synagogue, the Dutch Palace, the Portuguese and British Architecture, all finely blend with the rich heritage of the land, intricately woven folklore and fact. A melting pot of European flavours, the tiny fishing village of Fort Kochi has transformed into a burgeoning urban town after being introduced to Portuguese, Dutch and British characters in the past. If you’re looking for a laid-back town away from the city that has more foreign tourists than Indians, then Fort Kochi is a good start. Throw in a bunch of cosy cafes and you won’t even miss city life. 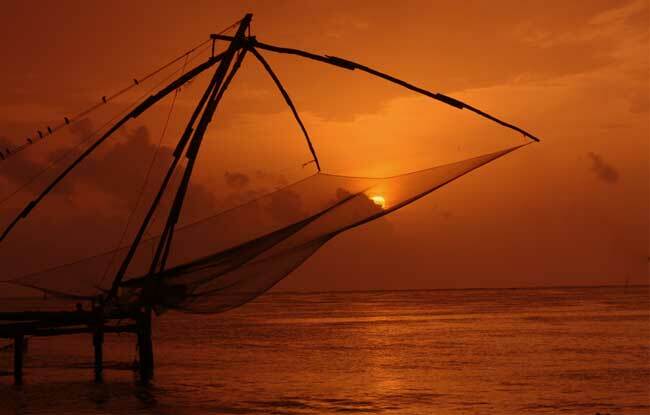 And if you’re a true-blooded traveller with the intent to explore, Fort Kochi’s growing cultural scenario, historic churches, unique Chinese fishing nets and innumerable homestays are sure to provide you with a holistic experience. The huge cantilevered Chinese fishing nets are the legacy of a visit by Chinese traders. Erected here between 1350 and 1450 AD, by traders from the Court of Kublai Khan, these nets are set up on teak wood and bamboo poles. 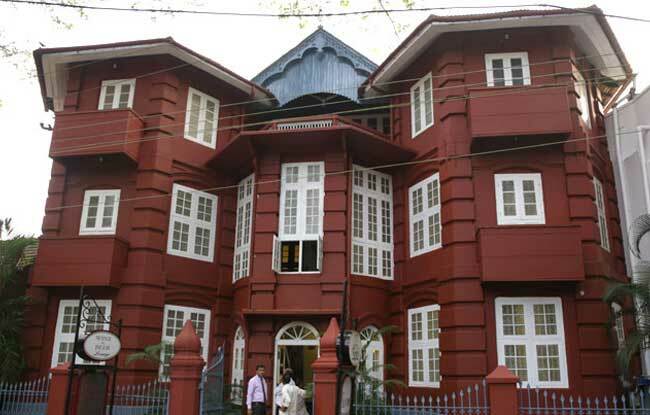 This charming mansion was the office of Pierce Leslie & Co, coffee merchants, founded in 1862. 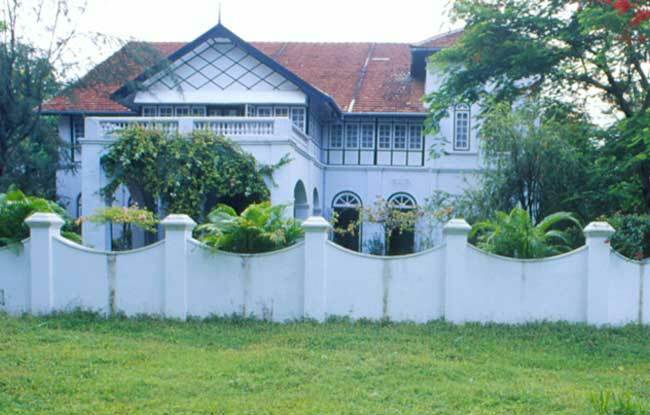 A representative of the Fort Cochin Colonial Bungalow, this building reflects Portuguese, Dutch and local influences. Formerly a boat house, it was built in 1808 for Carrit Moran & Co, renowned tea brokers who now use it as their residence.The Dutch architecture blended finely with the Portuguese tradition to create such a simple, but elegant building. 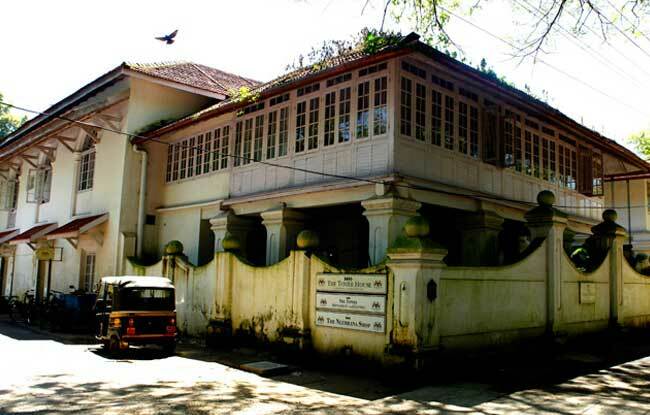 This magnificent building constructed by Samuel S Koder of the Cochin Electric Company in 1808 is a supreme example of transition from colonial to Indo-European Architecture.